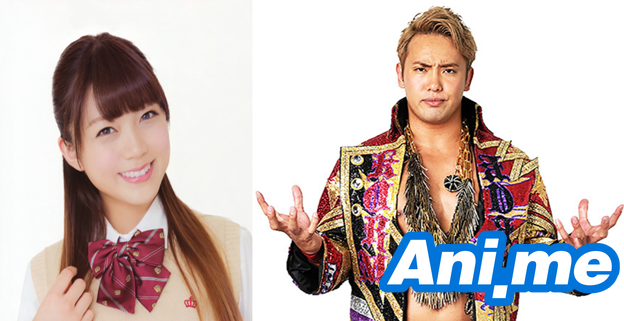 Capping off this week is some happy relationship news, as popular voice actress Mimori Suzuko has just announced her marriage to wrestling champion Kazuchika “Rainmaker” Okada! The announcement was made on Mimori’s official blog as well as Okada’s Twitter. Just like my mother, I will work hard to become a woman who can support my family with cheerfulness, fun and warmth. As an artist and actress, I will continue to put in my utmost effort, and aim for greater heights. To everyone, I thank you from the bottom of my heart for your continued support. Their relationship was first revealed on January 2018. When this news broke out, it was stated by both parties that the two were already in a serious relationship for five months. Their relationship was said to have blossomed while they were working, as it is speculated that they first met and fell for each other while meeting during Bushiroad events. Mimori is a voice actress for Bushiroad franchises such as Tantei Opera Milky Holmes and most recently, Shoujo Kageki Revue Starlight. Okada, on the other hand, is a pro-wrestler currently signed to New Japan Pro-Wrestling, which Bushiroad owns. Mimori Suzuko, fondly called “Mimorin” by fans, is best known for voicing characters such as Sherlock “Sheryl” Shellingford for Tantei Opera Milky Holmes, Sonoda Umi from Love Live!, and Kagura Hikari from Shoujo Kageki Revue Starlight. Besides voice acting, she also acts in musicals especially those that involve her Bushiroad characters. Kazuchika Okada, dubbed the “Rainmaker”, is a five-time IWGP Heavyweight Champion. His fourth reign, which lasted for 720 days, is currently the longest in IWGP’s history. Okada is the first Japanese wrestler to top Pro Wrestling Illustrated’s list of the top 500 wrestlers in the world in 2017.